LLH co-PI Professor Sarah Cleaveland is being awarded the 2018 Leeuwenhoek Medal for her pioneering work towards the eradication of rabies. She will receive the award when she delivers the Leeuwenhoek Lecture next month at the Royal Society, London. Entitled ‘Can we make rabies history? Realising the value of research for the global elimination of rabies’, the lecture is open to the public and admission is free. The Leeuwenhoek medal and lecture were established to recognise excellence in the field of microbiology, bacteriology, virology, mycology and parasitology, and microscopy. It was named after the Dutch microscopist Antonie van Leeuwenhoek. Read an interview with Sarah Cleaveland, ‘I am a vet!’ on the BBSRC website. Our latest newsletter is out! 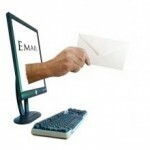 Read it online and make sure you don’t miss the next by subscribing to our mailing list. LLH co-investigator Professor Blandina Mmbaga attended the launch of the One Health Coordination Unit and the National One Health Strategic Plan in Dar es Salaam earlier this month. The ceremony was officiated by the Tanzanian Prime Minister Kassim Majawali alongside Government ministers from both mainland Tanzania and Zanzibar. The One Health Coordination Unit will be critical in ensuring health security for Tanzania by coordinating the National Health Security Plan and addressing emerging health challenges arising from the animal-human interface and attaining the core capacities of the International Health Regulations. The One Health Strategic Plan is a significant document that will ensure the readiness of the nation in response to zoonotic disease outbreaks. Together, these important unveilings confirm the Tanzanian Government’s commitment to addressing public health through a One Health approach encompassing human, animal and environmental health. Also in attendance were representatives from the World Health Organization (WHO), the UN Food and Agriculture Organization (FAO), USAID, the US Centers for Disease Control and Prevention (CDC), and the US Embassy; and the vice chancellors of Sokoine University and University of Dar es Salaam. Other LLH attendees included Professor Rudovick Kazwala, Dr Gabriel Shirima, Dr Emmanuel Swai, Dr Niwael Mtui and Dr Sayoki Mfinanga. 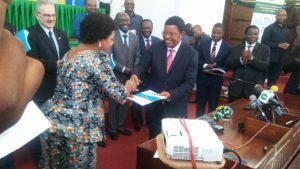 Photo above: The Prime Minister of Tanzania Mr Kassim M. Majaliwa and Jenister Mhagama, Minister of State, Prime Minister’s Office, at the launch of the One Health strategic plan. 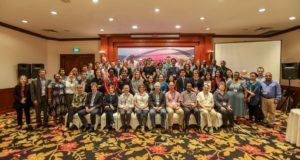 Members of the LLH team have been in Hanoi, Vietnam, attending the 3rd annual conference of the Zoonoses and Emerging Livestock Systems (ZELS) initiative, the programme under which LLH is funded. Joint principal investigators of LLH’s disease drivers project, professors Sarah Cleaveland and Jo Sharp, can be seen on either side of the front row in this group picture (Sarah on the left). Download a poster outlining the work of LLH in its third year (pdf). The Tanzania Veterinary Association (TVA) annual meeting was held at the end of last year (5-7 December, 2017), providing opportunities for LLH programme representatives to meet and share updates with Tanzania-based partners. At the meeting, Abdul Hamid Lukambagire presented update results from the ZELS Brucella study and presentations were also prepared by Ruth Zadoks from the meat risks (HAZEL) project, Tito Kibona from the SEBI project and several other Glasgow-based colleagues working in Tanzania. The conference also provided opportunities for a series of meetings. The ZELS Brucella team at the meeting – Rudovick Kazwala, Abdul Hamid Lukambagire, Gabriel Shirima and Jo Halliday – took the opportunity to meet with Niwael Mtui and discuss ways that study data could feed into the ongoing process of developing a Tanzanian national strategy for brucellosis. In addition to the Brucella policy implications, policy implications of HAZEL results to date were discusses by Dr Mtui and Professor Zadoks. 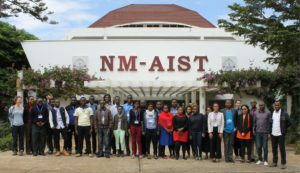 The third annual One Health training course at the Nelson Mandela African Institution of Science and Technology (NM-AIST) was held from 26 June 26 to 7 July 2017, provided by staff from Glasgow as part of the Leverhulme Royal Society Africa Award funded grant. 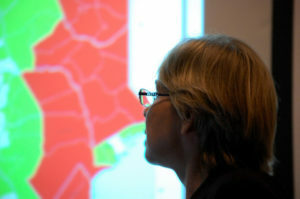 Topics covered included the basic principles of mapping, survey design and implementation using ODK software, science communication skills, and statistics for quantitative data analysis. The training team included Will de Glanville, Jo Halliday, Dan Haydon, Barbara Mable, Mike Shand and Chris Uzzell from Glasgow and Dassa Nkini, Rose Mosha and Gabriel Shirima from NM-AIST. A total of 37 students attended, including masters and PhD students from NM-AIST and other Tanzanian universities and research organisations. Rift Valley fever and brucellosis, two of the zoonotic diseases being explored by LLH researchers, have been identified among the six priority zoonoses in Tanzania at a workshop organised by the country’s One Health Coordinating Unit. The One Health Zoonotic Disease Prioritization (OHZDP) workshop, which took place in Dar-es Salaam, was attended by LLH partner Dr Emmanuel Swai, an epidemiologist at Tanzania’s Ministry for Agriculture, Livestock and Fisheries and other LLH co-investigators. The workshop aimed to prioritise the zoonoses of greatest national concern, in part with the aim of being able to better focus the use of limited resources to reduce the impact of the diseases. The other priority zoonoses identified were: anthrax, rabies, zoonotic influenza and African human trypanosomiasis (AHT). Read a report on the workshop by Dr Swai (pdf). Read a blog by Dr Swai on next steps from the the workshop. 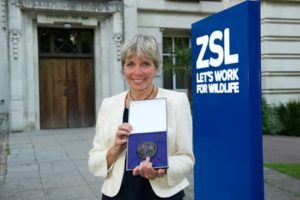 Professor Sarah Cleaveland, who leads LLH’s disease drivers project, has been awarded the Zoological Society of London (ZSL) Frink Award. This is given for significant and original contributions to the development of zoology. The Glasgow-based team she leads was also awarded the BBSRC Innovator of the Year award in the category for International Impact. 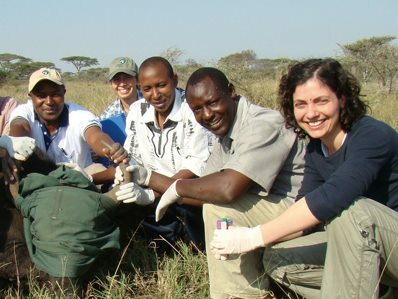 That award recognises the team’s work relating to the development of new strategies to control livestock diseases in Tanzania, including foot-and-mouth and malignant catarrhal fever. A new project, extending the work of Livestock, Livelihoods and Health, has recently been funded by the University of Edinburgh as part of its Bill and Melinda Gates Foundation-financed ‘Supporting Evidence-Based Interventions to Achieve Agricultural Development Goals’ programme. Building on work already undertaken, the new project broadens the range of diseases investigated under the disease drivers project. 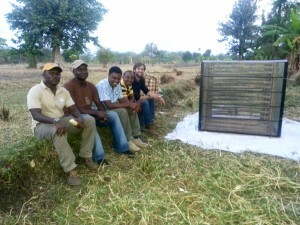 The work will help to further develop disease surveillance mechanisms in northern Tanzania by establishing a surveillance platform to investigate abortion events, and other diseases, with the aim of developing effective and sustainable intervention strategies to reduce mortality in cattle, sheep and goats. Find out more about the new project (pdf). 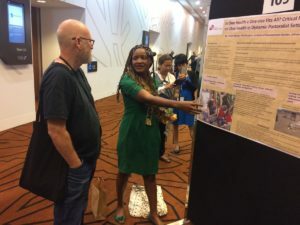 Early findings from our social science work showing the extent to which urban and rural butchers in northern Tanzania actively consider food safety were presented by Gerard Prinsen at DevNet 2016 in New Zealand and by Ruth Zadoks at the Tanzanian Veterinary Association annual scientific meeting. They show that virtually all urban and rural butchers primarily rely on their personal observation skills to determine if meat is safe. In contrast, only about half of people operating eateries, which sell cooked meat, say they rely on their personal observation skills to assess meat safety, with about half of these relying on boiling meat for at least 45 minutes. 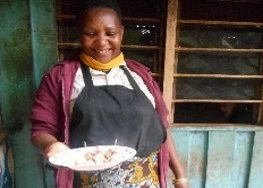 Download the presentation ‘Food safety awareness and practices in urban and rural butcheries and eateries in northern Tanzania’. The Livestock, Livelihoods and Health programme was represented at One Health EcoHealth 2016, held in Melbourne, by a four-strong team: Professor Sarah Cleaveland, who presented on ‘Dynamics, impacts and implications of infections in natural ecosystems’ (PDF); Professor Nigel French, who presented on ‘One Health and controlling food-borne infections’; Dr Jackie Benschop and ZELS-AS student Violet Barasa (left), who exhibited her poster, ‘Is One Health a One Size fits all? Critical reflections on One Health in Dynamic Pastoralist Settings in Africa’ (PDF). After two years in the field, results are starting to come in. Take a walk through some of our findings by clicking on the Shorthand story below. Professor Sarah Cleveland (left) has been awarded the Chiron Award for 2016 by the British Veterinary Association (BVA) for her “outstanding contributions to veterinary science”. 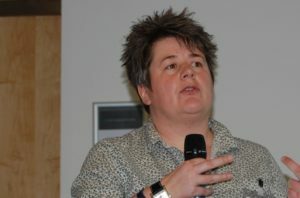 The BVA said the award recognised the distinctive contributions she has made as a “true champion for One Health” and acknowledged the impacts of her research on human and animal health across disciplinary and geographic boundaries. Read more about on the University of Glasgow website. LLH partners attended a workshop for key One Health stakeholders in Tanzania which brought the implementation of the country’s One Health Strategic Plan one step closer. The plan supports the realisation of Tanzanian’s vision of safeguarding the health of animals and humans and contributes to its broader vision of increasing economic growth. During the meeting Dr Gabriel Shirima (pictured) summarised the objectives and gave preliminary findings of the three LLH linked projects. Read Dr Emmanuel Swai’s report on the meeting. Afrique One-ASPIRE, a £5 million project that aims to help build the research capacity of African researchers by supporting a number of post-graduate studentships, launched this month. The project is managed by the Centre Suisse de Recherches Scientifiques, Ivory Coast, and supported by the Alliance for Accelerating Excellence in Science in Africa of the African Academy of Sciences, Wellcome and the UK Department of International Development. 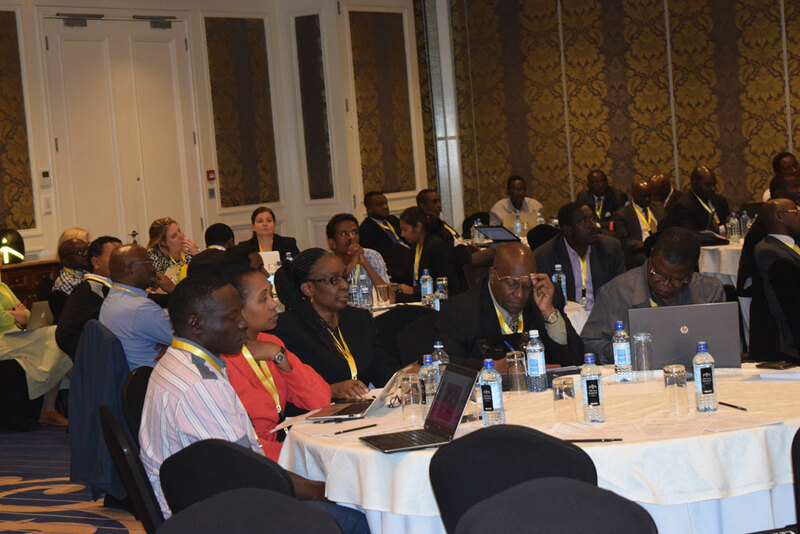 It links 10 institutions from West and East Africa, together with two partners from Europe, to deliver research and training across five thematic training packages covering: mycobacterial infections, rabies, brucellosis, food-borne diseases and disease surveillance. The project is one of 11 supported by the £60 million DELTAS initiative and plans to train 16 Doctorate and 18 Masters students, together with support for five post-doctoral research fellows. It builds on a previous successful project Afrique One. 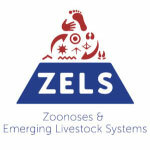 Several partners on Afrique One-ASPIRE are involved in the ZELS-funded projects comprising Livestock, Livelihoods and Health, and the new funding will bring opportunities for collaboration across Africa, for example in the field of Brucellosis research. A formal kick-off meeting for Afrique One-ASPIRE will take place in Uganda, 19-23 September 2016. 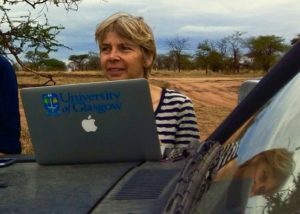 Professor Jo Sharpe, co-lead researcher on LLH’s disease drivers project, has been awarded the Busk Medal by the Royal Geographical Society in recognition of her innovative fieldwork and empowerment of others through fieldwork. As well as her current research with LLH exploring the social ecology of zoonoses, she focuses on “subaltern geopolitics” – the reconstruction of an alternative vision of the current “war on terror” from the point of view of Africa. Professor Sarah Cleaveland has been elected as a Fellow of the Royal Society in recognition of her work on infectious diseases. Although a veterinary scientist, Sarah was nominated in recognition of the impacts of her research on both human and animal health. See Sarah speaking about Fellowship on the University of Glasgow’s news story. Professors Sarah Cleaveland and Jo Halliday, co-PIs of LLH’s disease drivers project, were panel presenters at One Health for the Real World: zoonoses, ecosystems and wellbeing, a symposium held at the Zoological Society of London. The event brought together academics, practitioners and policymakers to share experiences and discuss the One Health approach. Our first newsletter of 2016 is out! Read it online and make sure you don’t miss the next by subscribing to our mailing list. “Bora worked as a lab technician for the ZELS projects in Moshi and had been a key member of the team at Kilimanjaro Clinical Research Institute for many years before that. Bora started working with several members of the LLH team on zoonoses projects in Moshi a few years ago and was instrumental in establishing the zoonoses laboratory at KCRI. 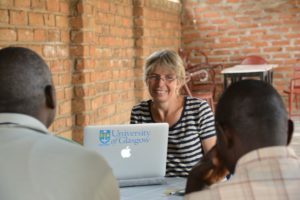 She had a great deal of experience of working with international research projects and knew everything there was to know about who was who and how things worked at the labs in Moshi. Her knowledge, experience and calm manner were of great benefit to many of us as we learned how to make things work for our projects. The first ZELS conference for all 11 ZELS-funded projects was held in Cambridge. The event was an opportunity for representatives from ZELS projects – including the three LLH ones – to get to know each other better, with presentations from each project kicking off the event. 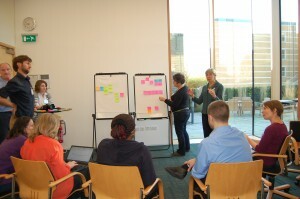 The two-day meeting also offered time to reflect on the best ways of multidisciplinary working in a workshop on the topic and gave time for impact mapping (pictured). Following the conference, a first meeting of the ZELS Associated Studentship Programme (ZELS-AS) students was held. Professor Sarah Cleaveland has been been elected to the National Academy of Medicine, one of the highest honours in the fields of health and medicine. 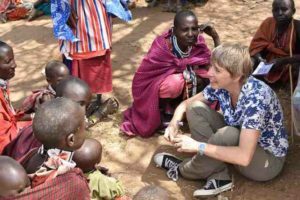 Sarah, Principal Investigator of LLH’s disease drivers project, was elected as a result of her many years of work and research into zoonotic and livestock diseases in developing countries. Last year, she received an OBE in the Queen’s Birthday Honours for her services to veterinary epidemiology. LLH partner Dr Emmanuel Swai of Tanzania’s Ministry of Livestock and Fisheries Development participated in the 1st Africa One Health Leadership Meeting in Nairobi. Ways in which One Health could be fast-tracked across Africa and a continent-wide One Health network set up were considered. Tanzania sent a five-strong delegation to the event last month. Pictured, from right to left at the table are: Mr Alex Choya, Wildlife One Health focal point; Dr Swai; Dr Janneth Mghamba, Assistant Director for Epidemiology and Disease Control, Ministry of Health and Social Welfare (MHSW); Dr Fausta Mosha, Director, National Health Laboratory, MHSW, and Dr Victor Kakengi, Head of Research Development, TAWIRI. LLH was hailed in particular for fostering multidisciplinary, multi-sectoral One Health activities at ground level. LLH is to benefit from an impact accelerator award secured by LLH’s principal investigators Sarah Cleaveland, Jo Sharp, Ruth Zadoks and Jo Halliday from the University of Glasgow’s BBSRC Impact Acceleration Account. The award will allow the PIs to develop healthcare messages to healthcare providers in Tanzania, and in particular messages that doctors can convey to their patients to reduce their risk of zoonotic disease. Our first newsletter is out! 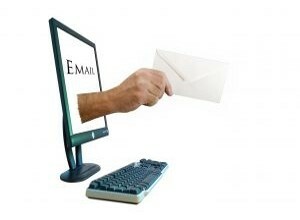 Read it online and make sure you don’t miss the next by subscribing to our mailing list. 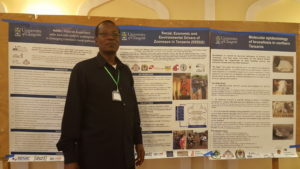 Professor Sarah Cleaveland and Professor Rudovick Kazwala sat on the steering committee for The Tanzanian Livestock Modernization Initiative, which was held in Dar, 13-20 July 2015. 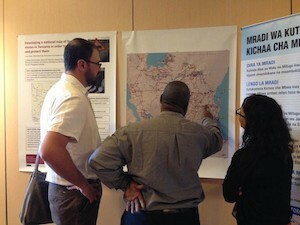 The picture, left, shows (l to r), Initiative participants Dennis Rentsch of the Frankfurt Zoological Society, LLH co-investigator Emanuel Swai of the Tanzanian Ministry of Livestock and Fisheries Development, and LLH post-doc Alicia Davis discussing preliminary data on livestock movements in Tanzania. A key objective of the disease drivers project is to characterise livestock movements and contact networks in northern Tanzania and to link this high-resolution data with information on these long-distance stock routes. 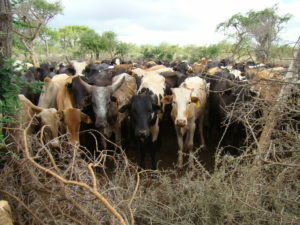 Download the final document from the Tanzanian Livestock Modernization Initiative. Read a blog on the Initiative by LLH post-doc Dr Seamus Murphy.